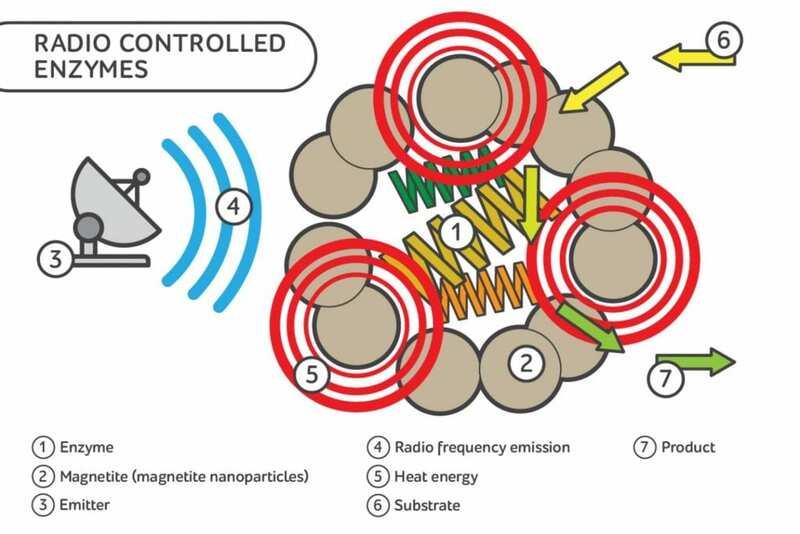 “There are very few studies out there that explore enzyme manipulation through the radio waves. We were the first who managed to increase the activity of a non-thermostable enzyme. Typically, these enzymes change the conformation at high temperatures and then stop working. But placed within the rigid framework of nanoparticles, the enzyme is stabilized from structure rearrangements as the nanoparticles mechanically restrict the enzyme mobility,” comments Andrey Drozdov, member of ITMO University’s SCAMT Laboratory. Since this topic has a lot of potentials, further work will focus on using the technique with other enzymes, as well as in living cells. For example, it is still unclear whether it is possible with this method to make bacteria or cells divide more often or, on the contrary, to stop their division,” notes Yulia Andreeva, the first author of the study.